You'll find plenty of places to visit near Cairns: Port Douglas (Safaris, Coffee Works, & more) and Hartley's Crocodile Adventures (in Palm Cove). Spend the 27th (Tue) among aquatic life with a scuba or snorkeling tour. There's more to do: stroll through Esplanade Boardwalk and have fun at Esplanade Lagoon Pool. For more things to do, other places to visit, reviews, and more tourist information, go to the Cairns route planner. If you are flying in from Lithuania, the closest major airport is Cairns International Airport. November in Cairns sees daily highs of 36°C and lows of 26°C at night. Wrap up your sightseeing on the 30th (Fri) early enough to travel back home. On the 1st (Sat), make a trip to Jezzine Barracks and then step off the mainland to explore Museum of Tropical Queensland. To find ratings, where to stay, traveler tips, and other tourist information, read our Townsville trip planner. You can fly from Cairns to Townsville in 3.5 hours. Other options are to drive; or take a bus. In November, plan for daily highs up to 36°C, and evening lows to 26°C. Finish your sightseeing early on the 1st (Sat) so you can take a bus to Airlie Beach. On the 2nd (Sun), discover the deep blue sea with a scuba or snorkeling tour. For ratings, photos, and tourist information, use the Airlie Beach day trip planning tool . Traveling by bus from Townsville to Airlie Beach takes 4 hours. Alternatively, you can drive; or do a combination of train and bus. December in Airlie Beach sees daily highs of 34°C and lows of 28°C at night. Finish up your sightseeing early on the 3rd (Mon) so you can travel to Noosa. Start off your visit on the 3rd (Mon): take a stroll through Hastings Street. 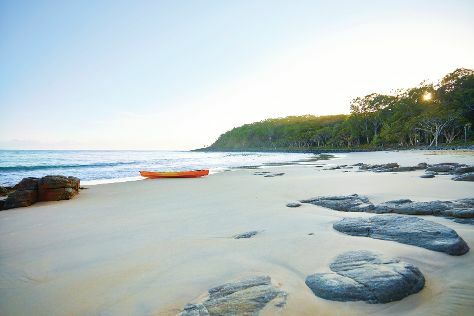 On the 4th (Tue), you'll have a packed day of sightseeing: explore the wealth of natural beauty at Noosa National Park. To find more things to do, reviews, ratings, and tourist information, you can read our Noosa trip itinerary planning site . You can do a combination of bus and flight from Airlie Beach to Noosa in 10 hours. Other options are to drive; or do a combination of bus and train. On the 5th (Wed), you'll travel to Byron Bay. On the 5th (Wed), soothe aching muscles at some of the top local wellness centers. 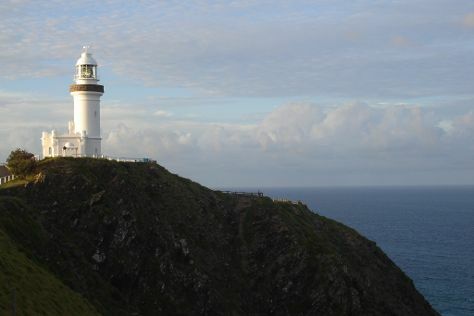 For other places to visit, ratings, more things to do, and more tourist information, read Byron Bay trip site . Traveling by car from Noosa to Byron Bay takes 4 hours. Alternatively, you can do a combination of bus and train; or take a bus. December in Byron Bay sees daily highs of 34°C and lows of 20°C at night. On the 7th (Fri), you'll travel back home.